It’s tee-time! Encourage your guests to grab their clubs and head for the course with these photorealistic Golf Photo Flyers advertising your next event. Pass them out around the clubhouse, or anywhere you like. 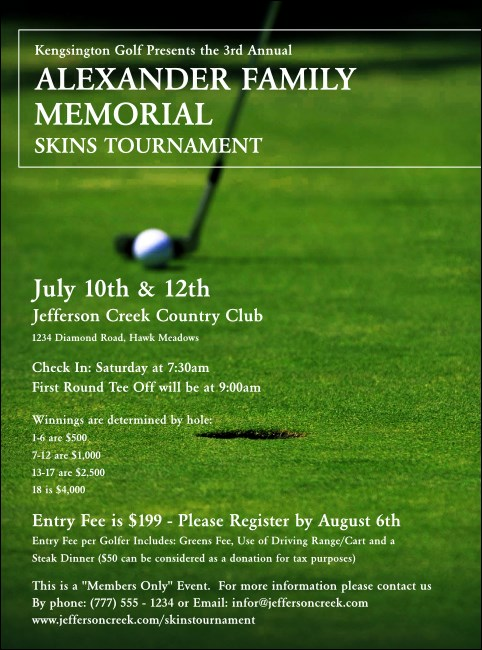 This Flyer template is like a clear snapshot of the bright putting green on a well-manicured course.